Conversion Project: Spider Web - Sew What, Sherlock? The conversion block this week is called Spider Web. It’s not what we think of now as a spider web block actually, but that’s what it was named when it was published originally in 1938. This block is one of the easiest conversion block patterns I’ve published, second only to the Memory Block for simplicity. It’s only got 2 sections! Flying geese, believe it or not, are one of the easiest traditional shapes to paper piece, and you can piece them in chains forever. So awesome. If you’re looking for a good starter block, this one is it. It’s attractive, looks complicated, but is deceptively easy. Go for it! 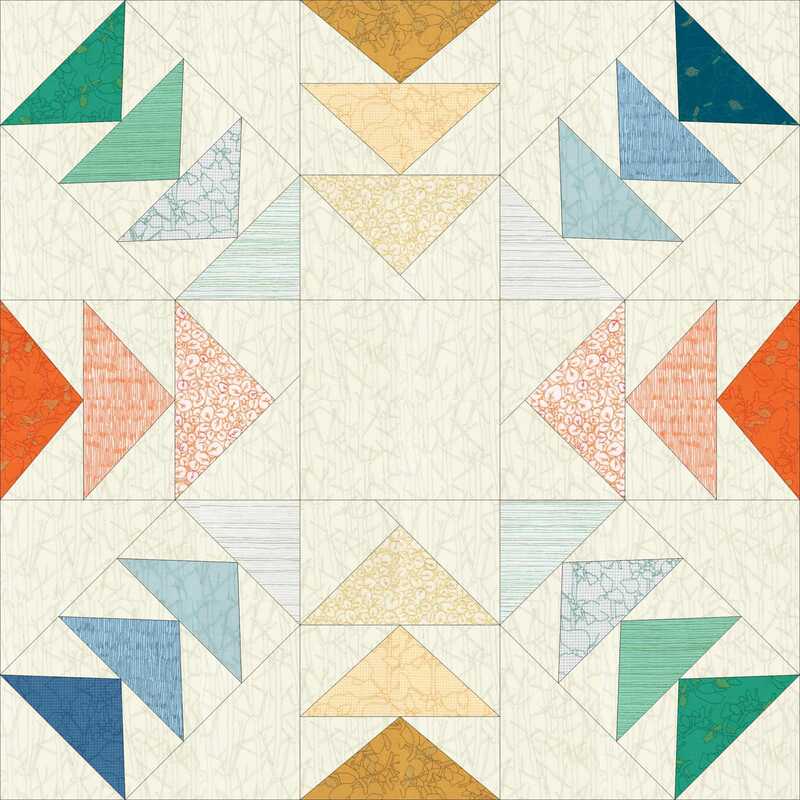 Fabrics featured for this block are all from Botanics by Carolyn Friedlander. This is cool. I’ll have to add it tp my list of your patterns that I have to try. I love your patterns, and I appreciate you sharing them with us. You’re very generous. I can’t wait to make it!